Freelance illustrator and Brooklyn-citizen Angela Martini’s whimsical illustrations, which nowadays can be found in a number of different books for tweens and teens, also work just as well on products such as posters, phone cases and pillows. 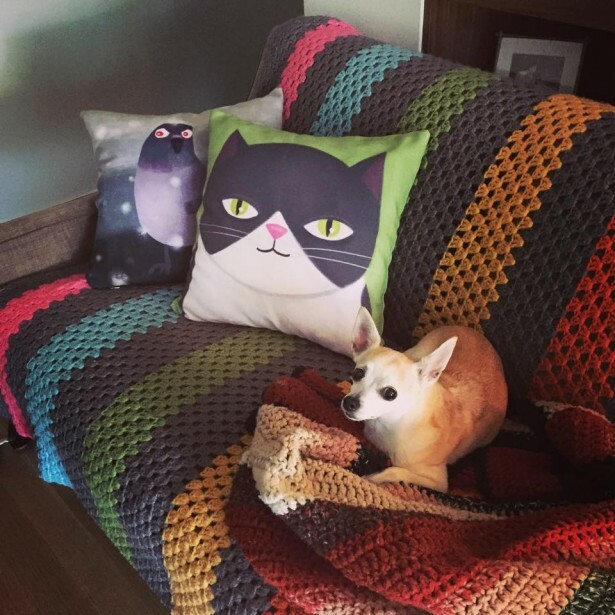 The cat- and pigeon- pillows, for example, have proven to be entirely dog friendly, as proven by this picture, posted by Angela on her Facebook page. To see more of what illustrated products Angela has to offer, be sure to visit her Redbubble and Society6 shops by following the links below.